'Priyanka' named ?worm spreading on Whatsapp on Android. | NewbieTechTips! 'Priyanka' named ?worm spreading on Whatsapp on Android. 'Priyanka' is a quite common India girl's name. Even more famous due to Indian celebrity named Priyanka Chopra. 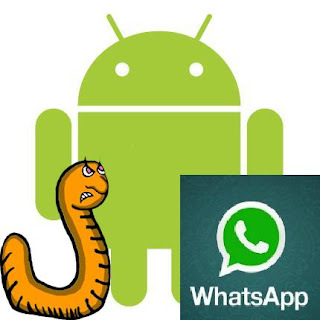 A blogger 'Shivam' in his blog post on blog The Android Soul on July 6th 2013, first announced the existence of some kind of worm named 'Priyanka' which is spreading on Whatsapp for Android users. "A virus named “Priyanka” is spreading on Whatsapp through a contacts file that if you add to your contacts will change the name of all the groups you have on your Whatsapp to“Priyanka”, and in the worst case, it may also replace all your contacts name to ‘Priyanka’ as well." After this blog post, the NEWS went viral on internet and was covered by prominent security blogs like Naked Security by Sophos and many other tech blogs. Although whatsapp has not published any official NEWS about this threat, nor does any other security companies like Symantec, Mc Afee, AVG etc. We have not confronted this threat directly while using Whatsapp, but still we advice all Whatsapp users on Android to remain cautious and do not receive any unknown file from some anonymous Priyanka other than your friend Priyanka. In the last update on The Android Soul, Shivam claims that the last update of Whatsapp has fixed this issue. "The most recent Whatsapp update that was pushed on 10th July (version 2.10.768) seems to have fixed the issue. Although, the update change log doesn’t mention anything specific about Priyanka except for bug fixes and improvements and also something about “improved treatment of address book duplicates” (which could mean something). But anyway, after installing the update I tried to save the Priyanka contact file again and it failed to make any mess. So, I think, it’s pretty safe to say that the exploit has been fixed." If you are one of the unfortunate whatsapp user who became the victim of this 'Priyanka', the method of removal is given here. All the popular social media like Facebook, Twitter and now Whatsapp constantly becomes target of hackers but they also become targets of Hoax in the name of viruses and worm, sometimes just for a prank or gaining attention.